Lysergic acid diethylamide (LSD) or “acid” is a potent hallucinogen, manufactured as an illicit street drug. Even in small doses, LSD can have long-lasting effects on sensory perception, seriously impairing a person’s level of functioning. Quitting LSD can be challenging. LSD is the most potent of the commonly abused hallucinogenic drugs. It causes profound distortions in a user’s perception of reality.1,2 While LSD addiction is not common, people who use LSD are more likely to abuse other drugs and to struggle with concurrent mental health issues. 2 These factors put them at higher risk for complications that require treatment. 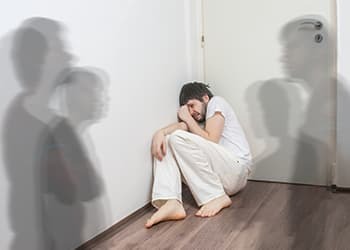 Those abusing LSD – especially in conjunction with mental health problems or abuse of other drugs – may benefit from professional substance abuse treatment. Treatment can help you understand the underlying causes of your addiction while managing any serious medical or mental health problems. Inpatient or residential treatment, in which you live at a drug treatment center for a period of a few weeks to several months. Most of the day is spent engaging in activities to treat addiction and mental or behavioral health disorders, including individual therapy, group therapy and aftercare/relapse prevention planning. Outpatient treatment ranges from an hour a week of individual or group therapy to intensive day treatment programs, in which you attend a treatment facility for up to 8 hours per day . Outpatient LSD rehab may include individual therapy, group counseling and psychiatric assessment and treatment. 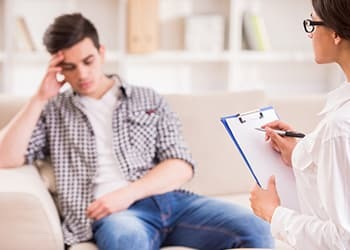 Individual therapy, in which you meet one-on-one with a therapist, is an important component of addiction treatment. Individual therapy can help you develop insight into your drug addiction, strengthen your motivation to change, treat any co-occurring mental health problems and help you develop a plan to avoid relapse. 12-step support groups, such as Alcoholics Anonymous and Narcotics Anonymous, are not a replacement for treatment. But they can be a helpful complement to treatment and an important part of an aftercare plan. The length and severity of your LSD use. Whether you’re dependent on other drugs. The presence of a dual diagnosis or concurrent mental or behavioral health issue. Generally, if you’ve been using LSD for a long time, abuse other drugs and suspect you may have mental health problems, inpatient is the best option. Following treatment, it is important that you prepare and follow a comprehensive aftercare plan to avoid relapsing on LSD or other drugs. An aftercare plan is usually developed when you are in treatment. Aftercare services can help you manage the areas of your life that were affected by your drug use. Ongoing individual therapy and/or psychiatric treatment, to continue to address root causes of addiction or mental health problems. Family therapy, to focus on family dynamics that may contribute to your addiction. Transitional communities, in which you can reside in a structured sober living home until you feel comfortable moving into regular housing. Career support, including vocational training and help with a job search. Financial education, to help you manage your finances effectively and avoid spending money on drugs. Pro-social community involvement, to help you become engaged in positive activities and hobbies with sober peers. Support groups such as Alcoholics Anonymous and Narcotics Anonymous. LSD doesn’t cause physiological dependence, and users are not likely to experience physical withdrawal symptoms when they stop using. The drug acts on different areas of the brain than other common addictive drugs, such as heroin and cocaine.1,2 However, tolerance to the drug develops rapidly and requires you to take more and more LSD to get the same effect. 1,2 This is dangerous due to the unpredictable effects of LSD. While physical dependence does not occur with LSD, some people become psychologically addicted to the drug and feel compelled to use LSD regularly, even when it is causing problems in their lives. In addition, people who use LSD are often “poly-substance” users. They may abuse multiple drugs either simultaneously or at different times than they use LSD. 2, 5 If a poly-substance user quits using LSD while also stopping the use of a physically addictive drug, such as cocaine, the person will still experience withdrawal symptoms from the physically addictive drug. LSD users and poly-substance users often have a higher rate of mental illnesses – including depression, anxiety and schizophrenia – than the general population. 3,5 Hallucinogen users are disproportionately represented in psychiatric inpatient facilities, 2 suggesting that people who use LSD are more likely to have major mental illnesses. Left untreated, these mental illnesses can complicate the recovery picture. A person may self-medicate with additional drug or alcohol abuse or experience suicidal thoughts and potentially harm themselves. Entering a formal treatment program for LSD can help to prevent some of these dangers and offer a solid chance for long-term sobriety. Use ‘I’ messages about how the person’s drug use has affected you. If you care about someone who is addicted to LSD or other drugs, the way you approach them is critical. If you make the person feel defensive, it could lead to an argument or the person shutting you out of his or her life. Use “I” messages about how the person’s drug use has affected you, rather than blaming or shaming the individual. Tell them that you care and offer support through all stages of recovery, no matter how difficult it might be. Provide resources for hope, including articles about treatment options and the recovery process. Encourage your loved one to enter treatment. Making a list of the pros and cons of continuing LSD use. Talking to family and friends about how your LSD use has affected them. Writing down the ways that LSD is causing harm. Finding new hobbies and other ways to spend your time. Building a sober network of family and friends. Following a comprehensive aftercare plan, which may include ongoing individual therapy or psychiatric care. Why Do People Commit Suicide While on LSD? The hallucinogenic experience on LSD can be labeled a “good trip,” which is generally a pleasant experience, or a “bad trip,” which can be terrifying. The type of trip a person will experience is extremely unpredictable and may vary each time a person uses LSD. If you or someone you know is struggling with LSD or another drug addiction, call our toll-free helpline right now at 1-888-319-2606 Who Answers? . A recovery support advisor will provide information to help you find a treatment center and confirm your insurance coverage. Phone lines are staffed 24 hours a day to connect individuals who are struggling with addiction with the help they need.
. National Institute on Drug Abuse. (2015). Hallucinogens and Dissociative Drugs: Research Report Series. Available at: https://d14rmgtrwzf5a.cloudfront.net/sites/default/files/hallucinogensrrs4.pdf.
. Kuhn, C., Swartzwelder, S., Wilson, W. (2008). Buzzed: The Straight Facts About the Most Used and Abused Drugs from Alcohol to Ecstasy, 3rd Edition. New York, New York: W. W. Norton & Company.